For all the turbulent times that have come and gone in Impact Wrestling, one thing has always been a focal point of their shows. They know how to create talent. They find athletic individuals who bring a unique presentation to their show and add layers that other promotions may not always see. Historically names like AJ Styles, Samoa Joe, Christopher Daniels, and Abyss are mentioned when it comes to TNA’s reputation but often overlooked are the stars who have both loyalty to the brand and who have provided substance in other ways. Today’ I had the pleasure of speaking with a superstar who has been Impact Wrestling Tag Team Champion and has spent time with some of the more exciting talents in recent Impact Wrestling history. He has wrestled for several companies including International Wrestling Cartel, Chikara, Crash, Pro Wrestling Unplugged, AAA, and Impact wrestling. He has won championships on several occasions including holding the prestigious Impact Wrestling X Division Championship as well as having a run with the Impact wrestling Tag Team Championship. 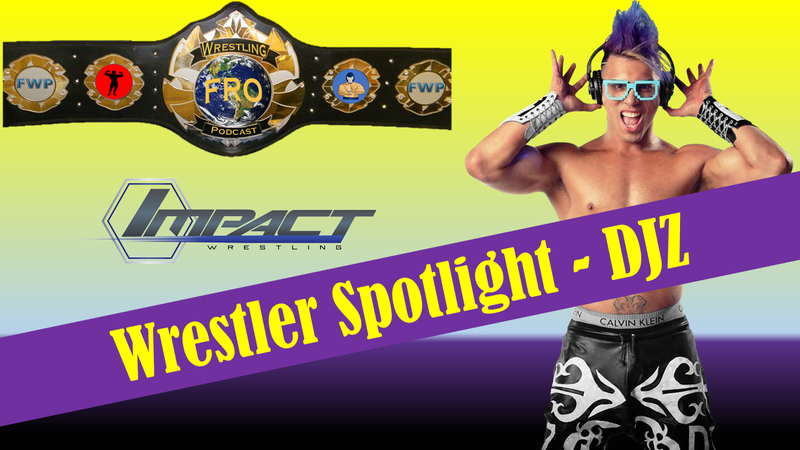 Today's Wrestler Spotlight Interview is with Impact Wrestling Superstar, DJZ a/k/a Zema Ion. Mr. Fro - I am thrilled for the opportunity to chat with you about your experiences in the business. I am a huge fan of Impact wrestling and have been since the days of weekly $10 Pay Per Views. What is it like in today’s Impact Wrestling locker room compared to when you first arrived? DJZ - With every change in management, comes a change in the locker room and atmosphere. I have seen several changes come and go over the years at Impact. It’s hard for me to comment on what the locker room is like present-day since I haven’t been a part of the shows or tapings very much, but it seems to be pretty positive and morale seems high. Mr. Fro - I know you have wrestled for many places. Where did you get your formal training and start your career? DJZ - I started in Pittsburgh at IWC when I was 16 years old, then ventured to Mexico and trained with several luchadors. I continue my training to this day at different Lucha Libre gyms in Chicago. I would credit Skayde and Discovery as my main coaches over these last few years. Mr. Fro - When you wrestled for IWC, you had a lot of success even winning their World Championship. What were some of your favorite moments back in the Cartel Days of your career? DJZ - My favorite IWC memories are the days before I actually wrestled. Being on the ring crew, watching the shows with my fellow trainees and building life long friendships with those guys. I really miss those early days with Jimmy Demarco, Facade, Gory, Sam Adonis and Marshall Gambino to name a few. Mr. Fro - You have made appearances for so many other promotions including Chikara. Fans have expressed that Chikara is such a unique experience. What do you think of their product and how unique some of their concepts are? DJZ - I think Chikara is pretty cool and always thinking outside of the box. I wish I had been able to work with them more in my early years. Mr. Fro - You have experience with AAA. Often fans debate about the crowd reactions in different locations. How was the crowd response in Mexico? DJZ - Honestly, most of the AAA fans had no clue who I was. They just knew I was a gringo and a rudo, so they boo’d me. Crowds in Mexico are very responsive and energetic. More so than the US crowds in my experience. DJZ - I think I benefited greatly from working with guys like RVD and Austin Aries in my first year at TNA. Those experiences helped to shape me into the wrestler I am today. Mr. Fro - Eventually, you ended up working with one of my absolute favorite teams of all time, the BroMans. I am a Big Brother junkie and am a huge mark for Jessie Godderz and i was privileged to have met Robbie E at an independent show near me. What was your time with the BroMans like and what are your feelings on your partners in the group? DJZ - It was probably the most fun I’ve had in my wrestling career. Mr. Fro - Do you think TNA dropped the ball by not pushing the BroMans more and using the “Freebird Rule” allowing you to defend the Tag Titles with them when they were having their run with the titles? DJZ - I think they dropped the ball by splitting us up and not giving us have a big baby face run in the early part of 2015. Mr. Fro - I was sad to see the team split up but in retrospect, it may have been a great thing for you. You have since had a strong reign as X Division Champion. How did that decision come about and what was your reaction to holding a championship that is so well respected in the industry as one that represents some of the hardest working talents in the business? DJZ - I needed to step my game up and prove my value after the BroMans broke up, so I started working harder in the ring and in the gym. Management took notice and started putting me in positions to succeed, and I succeeded. So I was eventually rewarded with an X-Division title run that never really took off due injuries and the Team X Gold concept. 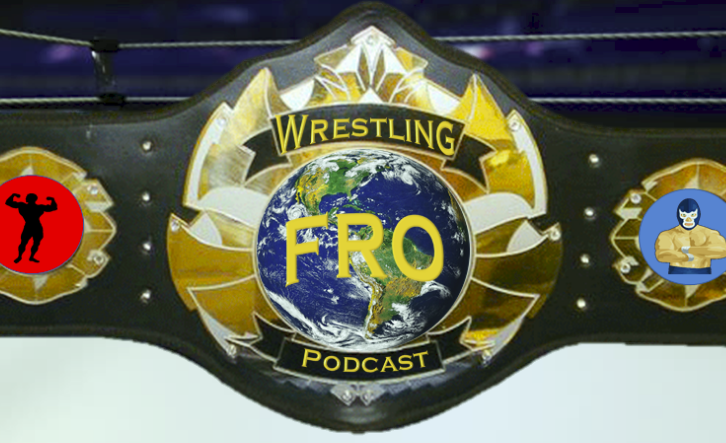 Mr. Fro - You went on to have a World Tag Team Championship reign with Andrew Everett. He is clearly another extremely talented performer. I thought they should have given the two of you a more substantial run with the titles. Did you enjoy the partnership while it lasted? DJZ - I enjoy teaming with Everett very much. Our team isn’t broken up either. We are still teaming up on the independent scene and internationally in the near future. Mr. Fro - I have to ask you about your health scare when you were wrestling the Laredo Kid for the Crash promotion. I remember seeing the news online. What happened during the match? DJZ - He has a really high impact 450 Splash. Plain and simple. It caused internal bleeding in my colon. The entire story has been told in documentaries and video packages. Search DJZ - The Beat Goes On in YouTube. Mr. Fro - Have you had any lingering effects from the injury or are you back to 100%? DJZ - Just an ugly scar on my stomach. Mr. Fro - Impact Wrestling just held their Slammiversary Pay Per View that is being referred to as one of the best shows of the year. I was blown away by the great storytelling and the diversity in both style and presentation of the matches. What is your take on the state of Impact wrestling and where do you see them going in the future? DJZ - I think the roster is the strongest it’s ever been. I hope to be a part of it more in the near future. Mr. Fro - I have to ask our fast 5 questions. I do this with all of my interviews if that is ok. It is like one of those first thing that comes to mind type of things. Who was your favorite opponent you have faced? Mr. Fro - Where was your favorite venue to perform? Mr. Fro - Who would have been your dream opponent? Mr. Fro - If you could bring back one wrestler from the past for just one match who would it be? Mr. Fro - Who is the best promoter you have ever worked for? DJZ - the one that paid me the most I’d have to say. Mr. Fro - I really want to thank you for taking a few moments with us today. I really hope everyone can feel the shift with Impact Wrestling. I see a ton of great things coming and am very optimistic about their future. Again, thank you so much for all of your time and good luck. Perhaps we will see your work in WWE in the future. Is that something you are hoping to do at some point? DJZ - Its definitely on the bucket list. What are your thoughts? Comment in the box below! Chat with us on all social media platforms. and all major streaming services!